Regardless of what type of small business you own, email marketing is an invaluable asset to your company for ongoing use with both your existing customers and new prospects. 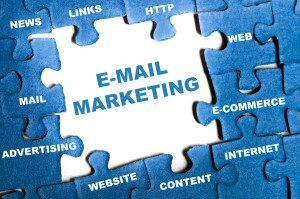 Why do MLM business owners need an email marketing service? It is a rare case when a successful MLM business owner has unlimited time on their hands. Email marketing will not only connect you with the most qualified prospects, but it will do it automatically, saving you all kinds of time. If you want to get more accomplished in marketing your MLM business with less of your personal time and attention, then you need to seriously look into email marketing. By collecting email addresses through the offers that you carefully sprinkle throughout your social media and other marketing efforts, you can establish and extend highly targeted relationships for your business in virtually unlimited ways. This then allows you to communicate your best news or updates, share motivating stories, testimonials, successes, launches, links to your social media communities, special opportunities, promotions and so much more. Through email marketing, a new world of relationship building options are now available to you and your business. Email marketing not only provides another critical connection point with your unique target market niche, but it also has significant advantages over other forms of marketing as well. How much of your marketing efforts today are on auto pilot? That’s right, a majority of your email marketing can actually be sent out automatically, over time. This makes using an email marketing service much more than just a great way to establish and maintain profitable relationships, but much easier and more efficient for YOU at the same time. The trick is to collect contact information (usually an email address and name) from specific offers (calls-to-action) that requires someone to fill out form online. Every interaction with your business, online or not, is an opportunity to collect contact information. Have you ever filled out a form online in order to receive someone’s newsletter, a free ebook, join a group, access a training series, take part in a webinar, etc? If so, you just became a prized prospect for some company that qualified you based on your completion that form, for that particular offer, at that moment in time, from them. The most qualified prospects are the ones that had to actually take action in some way. Filling out a form and providing contact information in itself helps qualify new prospects, especially when connected to your uniquely crafted call-to-actions. Email is the one place that we all check frequently, with even our most important social network notifications coming into our email inboxes. Email is simply the best way to connect with customers and prospects. New prospects coming from YOUR well thought-out call-to-action forms can be highly qualified for your particular business. This means a greater opportunity to convert that prospect. Ongoing marketing and relationship building through automated email campaigns is one of the highest quality, efficient forms of communication, providing a great return on the time and resources invested. Internet marketing professionals know the value of taking the time once (or infrequently) to craft very high quality and motivating series of emails for very unique audiences, delivered exactly and automatically when they desire. As an example, there is no better time to follow up with a new prospect than right after they have submitted for a particular call-to-action (offer). Thus, an immediate thank you email can be sent out automatically and immediately. That email can then be automatically followed by a series of emails scheduled over time. The end goal is to enhance these new relationships across time while also extending additional opportunities for new sales, cross-sales or up-sell opportunities. Unlike other forms of social media marketing that rely on fans of your social media pages needing to be using certain social media platforms at certain times to see your updates, emails are delivered directly to your customer or prospect’s email inbox. This assures that a much larger percentage actually see the content that you are putting out. In addition, when you construct an email, you can format it however you’d like and have it include content and links to whatever you want. While you have to follow certain guidelines and restrictions on social media platforms, email marketing gives you the freedom to deliver your message as you feel it should be best constructed. Email marketing services take a lot of the work out of running a successful email marketing campaign. One of the quickest ways they do so is by providing newsletter and form templates. By using a template that has been proven to be effective, your email will be more well-received and you don’t have to put extra thought into formatting. All email marketing will ultimately lead back to taking advantage of a product or service offering from your business. Thus, you need to establish a hub for your business online to showcase all the opportunities and advantages you offer. For today’s marketer, you need a blog (a fully functional website) that represents your business, products, services, reviews, FAQs, event schedules, etc. as you want it, all in one place. A blog is the hub of your business online, and should be there to represent you 24/7/365. It is also where all your best call-to-actions reside! Once your business fundamentals, as in your brand, target market niche and are in place, search for an email marketing service that fits your needs. Most email marketing companies require a monthly fee to deliver all their features, including the automated email campaigns. One of the best email marketing services on the market is aWeber. The is an excellent place to get your company’s business fundamentals set in order to take full advantage of all the email marketing opportunities for you and your business.